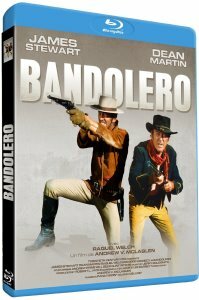 Description: James Stewart and Dean Martin are atypically cast as outlaws in Bandolero! 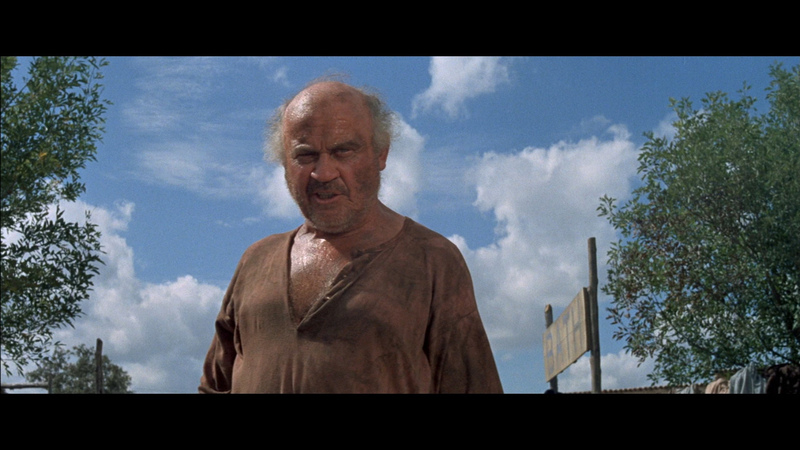 The film begins as Dee Bishop (Martin) and... his gang are about to be hanged. 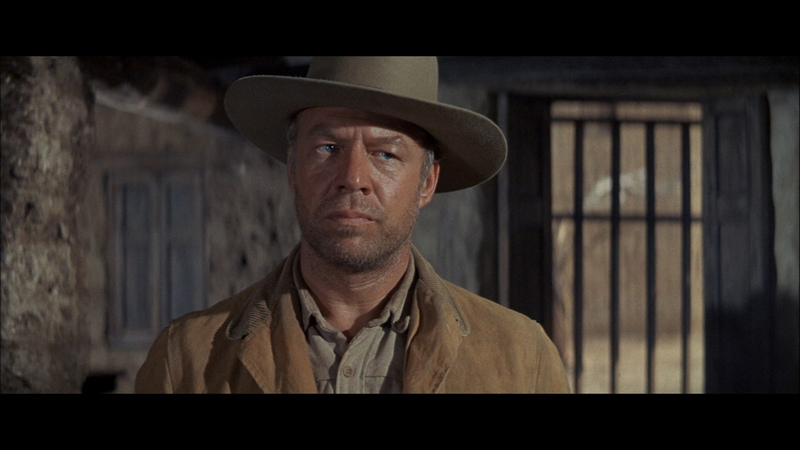 The Scripture-spouting executioner turns out to be Dee's brother Mace (Stewart), who helps the desperadoes escape. 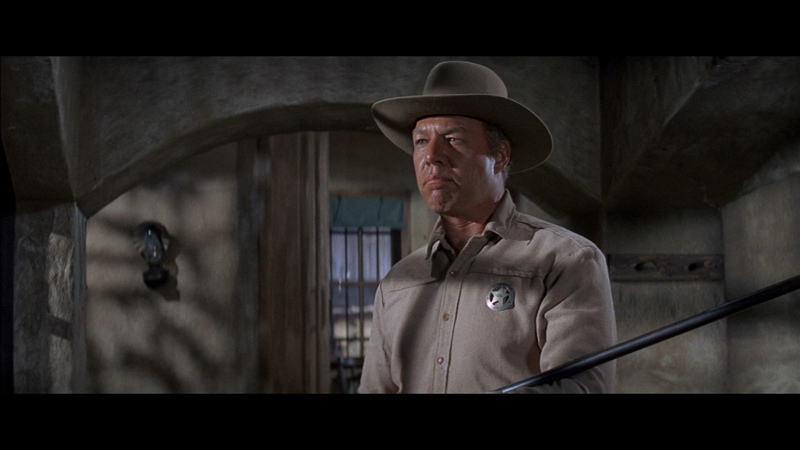 They are pursued by a sheriff (George Kennedy), whose lady friend (Raquel Welch) has the hots for Dee. The brothers try to go straight, but before they can make up their mind they find themselves surrounded by Mexican bandidos and are forced to team up with the sheriff to fight them off. 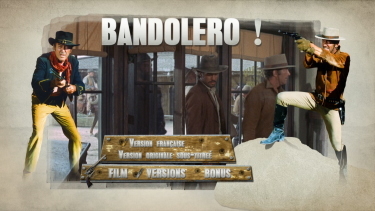 "Bandolero!" 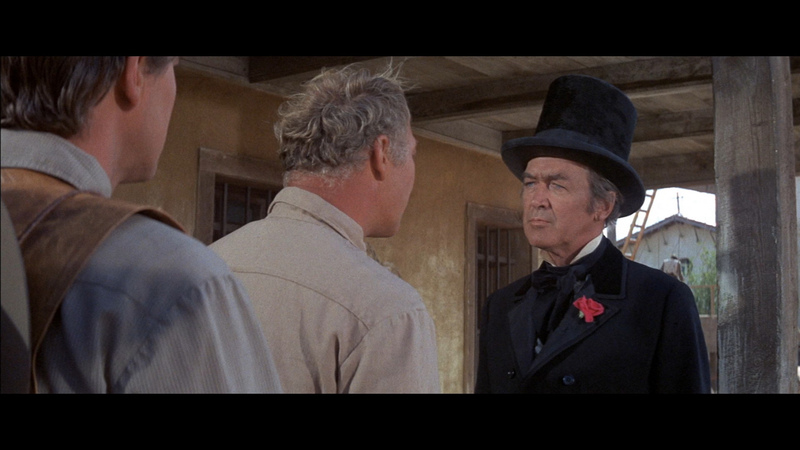 is chiefly distinguished by James Stewart's wry scenes as a phony hangman. 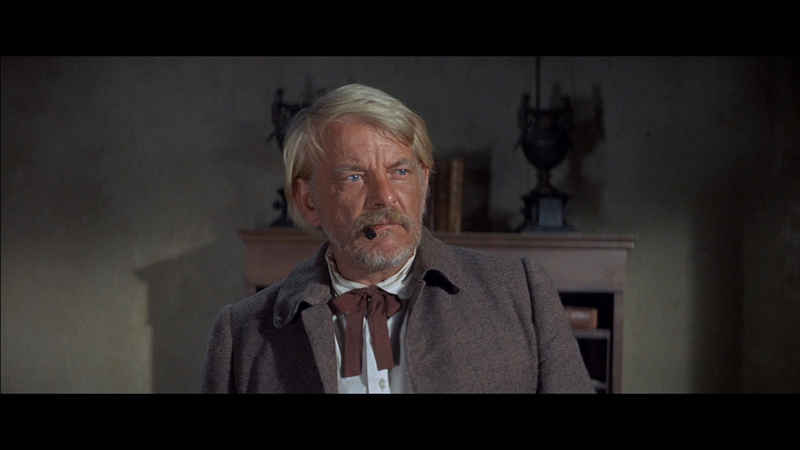 But it has another moment or two of interest, mostly thanks to a full gallery of character actors. 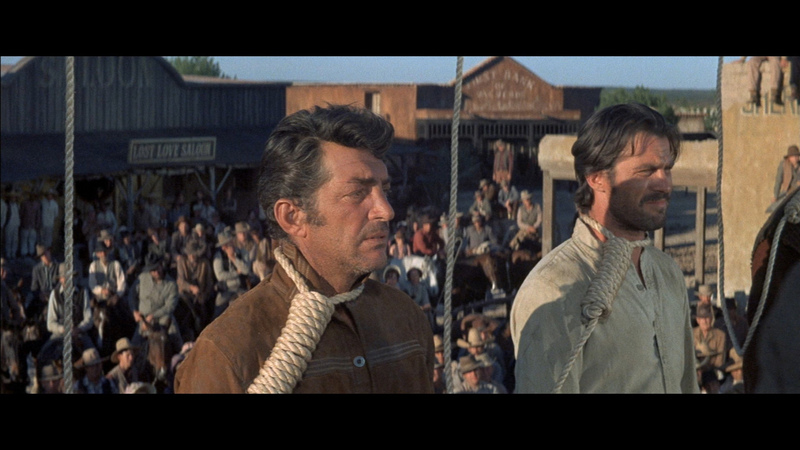 The story is routine: Stewart runs into a hangman on the trail and learns he's on the way to hang five men. One of them is Stewart's brother (Dean Martin). "My, that must be interesting work," Jimmy drawls as only Jimmy can. He lures the hangman into conversation and ever so carefully urges him to explain his craft. The next time we see Stewart, he's wearing the hangman's clothes and riding his horse, and heaven knows what happened to the unhappy hangman. An affably unpretentious Western, particularly attractive in its lazily offbeat opening as Stewart arrives in town to find the flophouse full because of an impending hanging, meets the hangman while luxuriating in the open-air bathhouse, waylays him for a lugubrious lecture on the secrets of the trade, and returns in the hangman's top hat and frock coat to compliment the sheriff (Kennedy) on the magnificence of his five-man gallows. 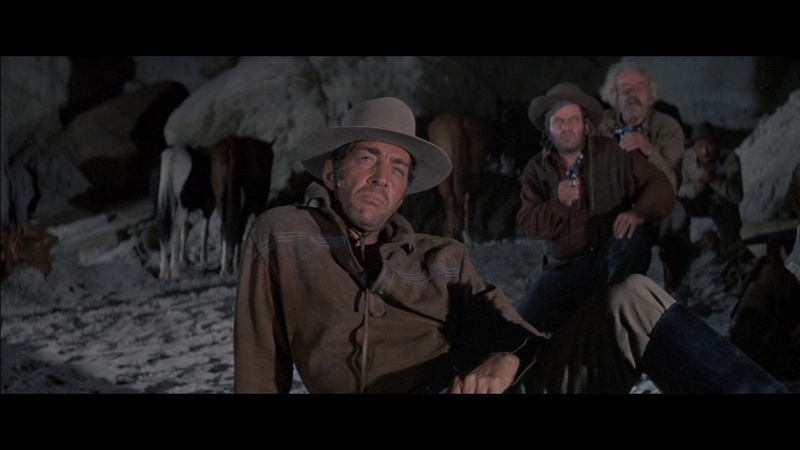 Calmly staging a last-minute rescue of the condemned gang headed by his brother (Martin), he equally calmly robs the bank they failed to breach before, with the sheriff now safely in pursuit of his vanishing prisoners. 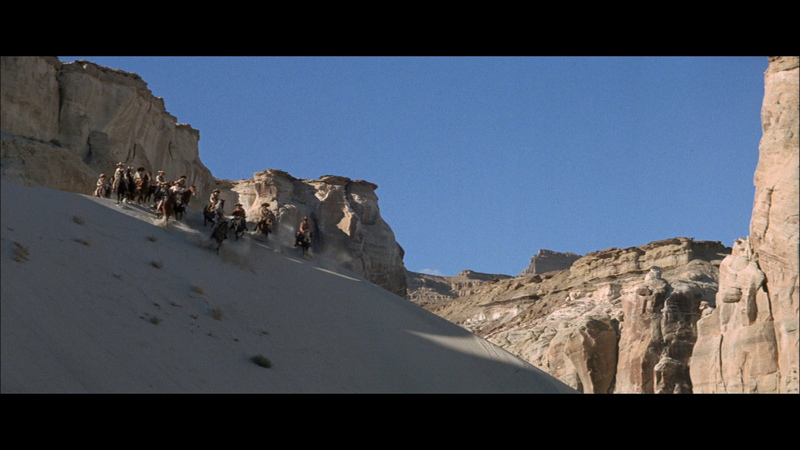 A spirited chase of course ensues, with Raquel Welch as hostage, a troublesome faction in the gang, and hordes of bloodthirsty bandoleros in wait across the Mexican border. Script and direction both flag latterly, but the admirable cast keeps things going. 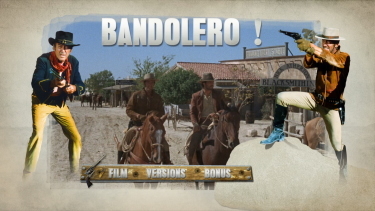 Bandolero! looks quite good on Blu-ray from Film Media in France. Outdoor scenes are bright and there is some sneaking depth to the 2.35:1 image. This is only single-layered but has a supportive bitrate. Colors are passive, earthy and seem accurate. There is minimal noise and contrast exhibits solid levels. Daylight scenes are impressive but there is also some decent shadow detail. This Blu-ray produces a consistent presentation without notable flaws. Overall, I was surprised at the adeptness of the 1080P visuals. No boost going on here - it's a 2.0 channel stereo track (original English or French DUB) that, strangely, didn't get a lossless treatment. With a decade of TV scores under his belt this is an early 'feature' for Jerry Goldsmith and his compositions help create the perfect aura for each scene - from tension and the majestic Utah scenery. All good although less robust than some fans might desire. There are optional French subtitles (Yes, you can watch the film with original English and NO French subs). Surprisingly, my Momitsu has identified it as being a region FREE disc playable on Blu-ray machines worldwide. 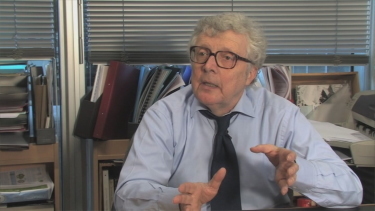 The supplements offer an SD interview with film historian Patrick Brion running over 20-minutes in French (no English subtitles) and a trailer (2:53). 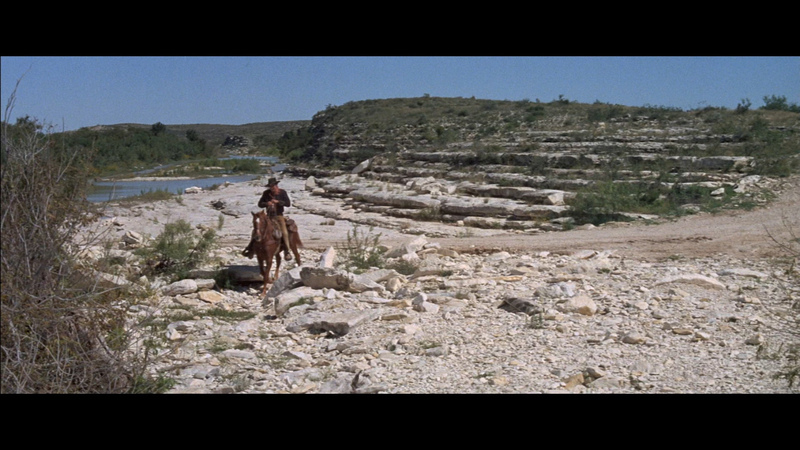 I had never seen this before and was just hoping it was not too 'light' a western - which I tend to enjoy less. 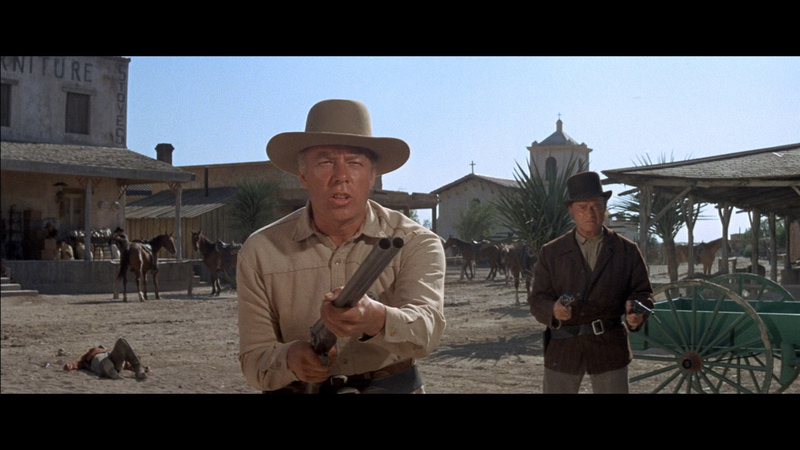 George Kennedy's stern face seemed to keep things honest. This is a much more enjoyable film than I was anticipating - implausible but solid performances. It is dark in many respects. 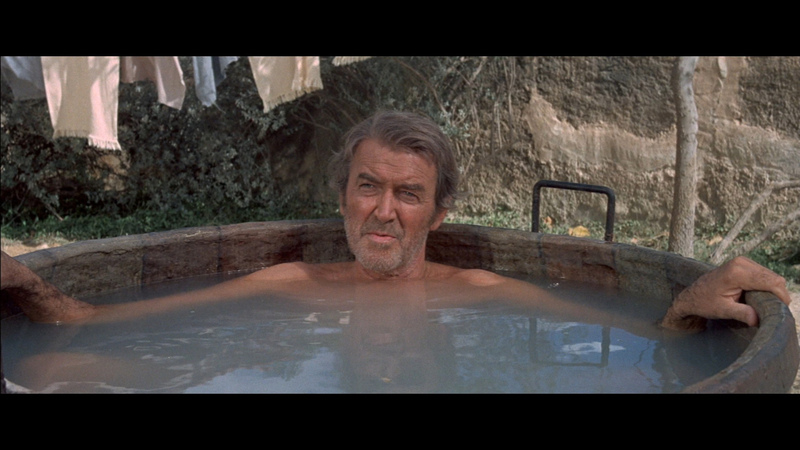 Andrew V. McLaglen knows the territory well and helps spin an intriguing 'olde-west' yarn. 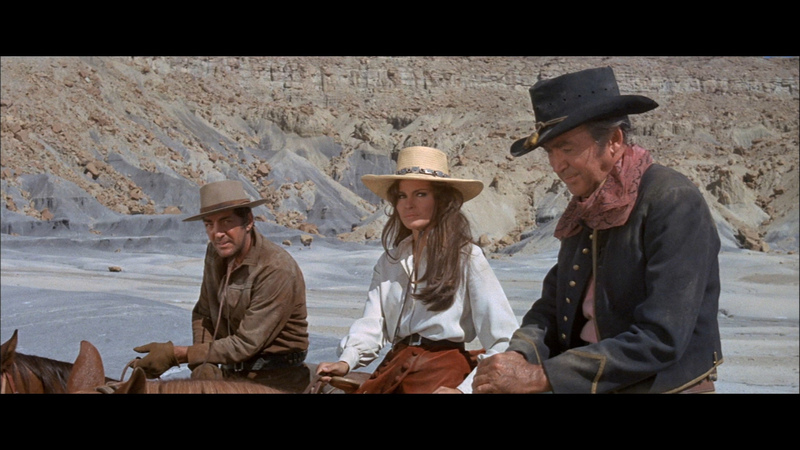 The region FREE Blu-ray should appeal to fans of the actors and the western genre.